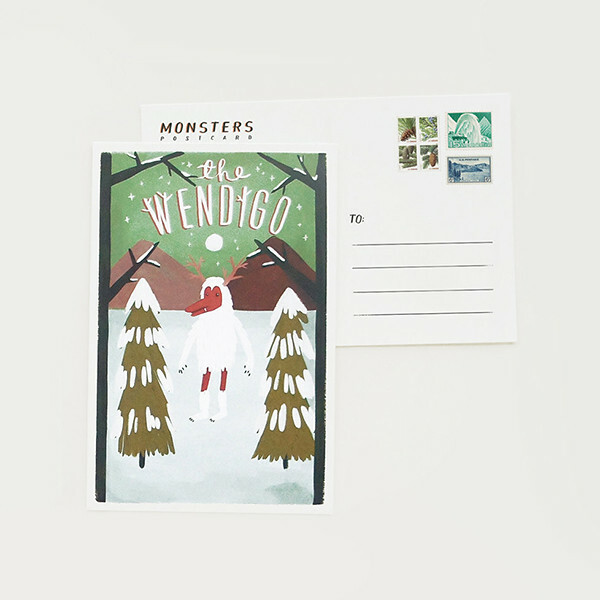 As you sharpen your fangs, slather on the fake blood and indulge in too many Halloween themed sweets again, you best be on the lookout for there are monsters lurking about…. 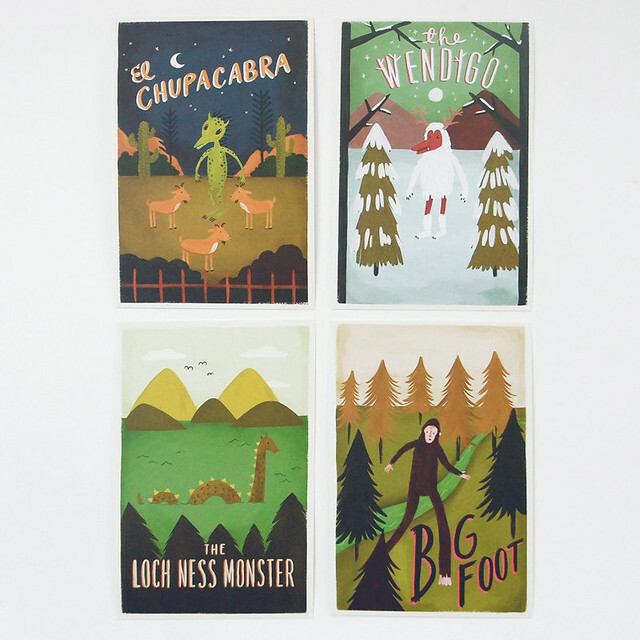 Such great and terrible creatures as El Chupacabra, the Wendigo, Big Foot and Scotland's very own Nessie. Not many people have seen them in person but we at Fox and Star have managed to get glimpse of all of the fearsome foursome. 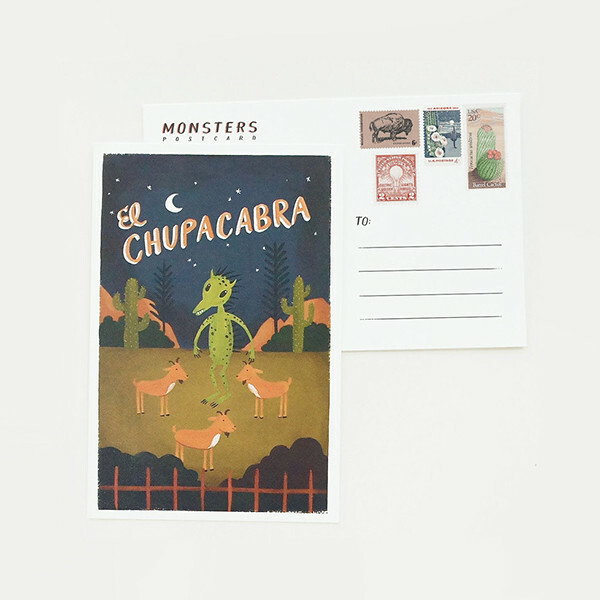 Quill and Fox's set of monster postcards has managed to capture these elusive creatures in all their glory. 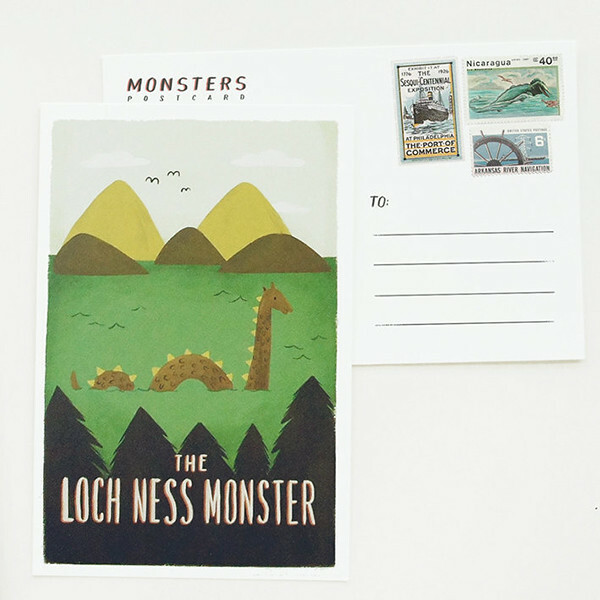 Such as Bigfoot striding gloriously amongst the woodland or Nessie taking a dip in the loch. Observe these creatures, beautifully illustrated, in their natural habitats. 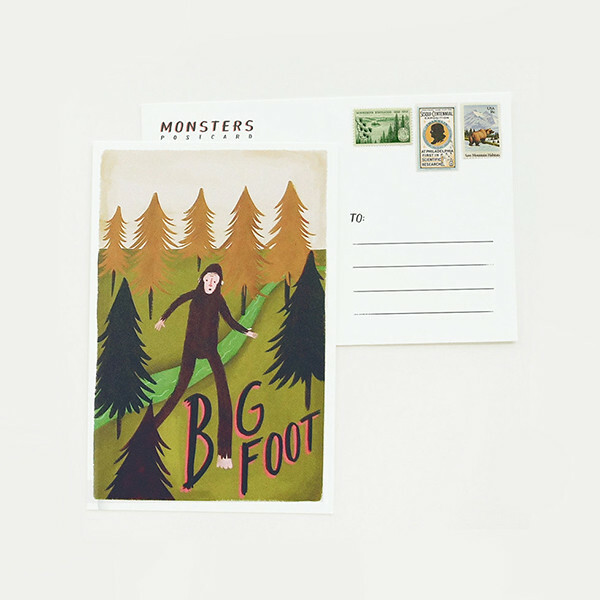 As quirky, charming and wonderful as you would expect from Quill and Fox, these cute monster postcards are perfect for sending some spooky snail mail this October, wouldn't you agree?